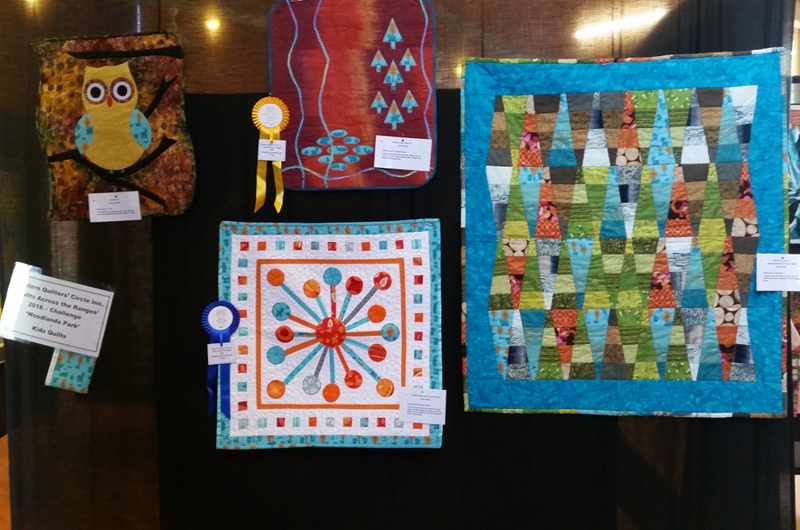 The Challenge this year was "Woodland Park"
Christine Sharp from Kids Quilts donated fabric and judged the challenge. Some of the Challenge quilts with the fabric left hand side. 1st place - Barrie with "Woodlands Park Playground"
2nd place - Jean with "Me and Friends"
3rd place - Juliet with "Woodland Park Joy"
1st time entrant - Colleen with "My Woodlands Park"
Joanne with "Wood 'If I Could (See the forest for the trees)"
Michelle with "Teddy Bears Picnics"